Dawn had her pretend play by using the plastic rack from the sterilizer. Imaginative right? 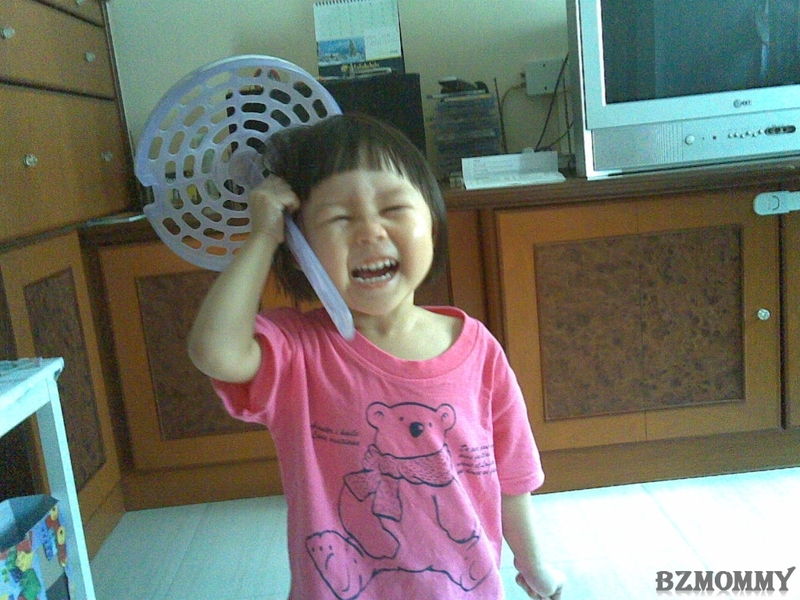 She made her Popo and Gong Gong laughed so much with her actions.